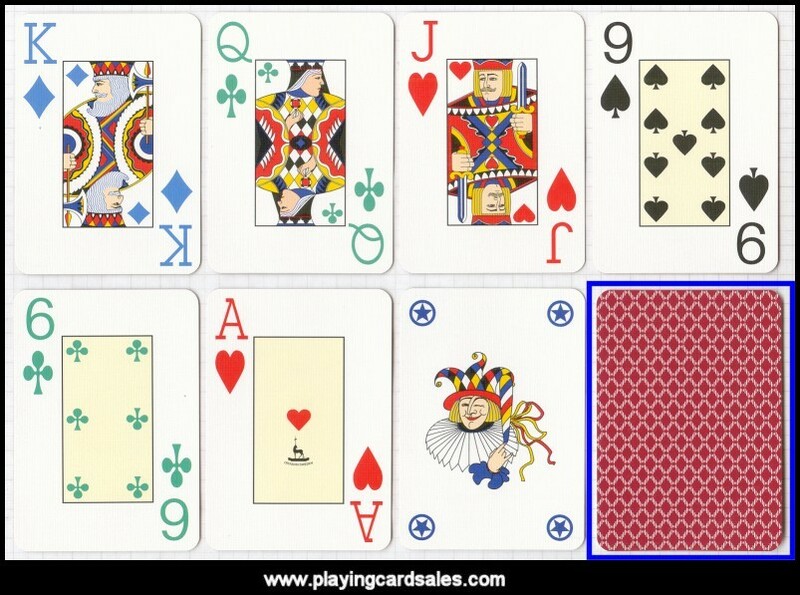 Cards with large indices and suits in four colours - diamonds = blue, clubs = green, hearts = red, spades = black. Slightly embossed textured finish to cards. *Please note: Where a "double pack" or a "twin pack" option is offered, a pair of matching packs with contrasting back designs is available. 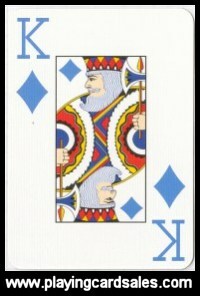 A "double pack" is supplied in a single box containing two packs of cards, and a "twin pack" is supplied as two separate single packs.